Keri has her degree in Hotel Management and has always enjoyed traveling. She went to Walt Disney World on her honeymoon, fell in love, and couldn’t wait to return! Many trips and several Disney cruises later, she realized that she loves helping other people plan their vacations as much as she enjoys planning her own. She is a graduate of the College of Disney Knowledge and has completed onsite training programs for Walt Disney World and the Disney Cruise Line. She has also completed Universal Studios Florida specialist program as well as training programs for many of the major cruise lines. 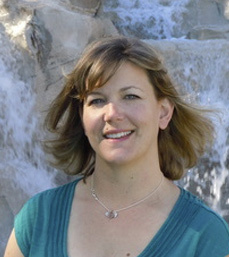 Keri has been working as a Vacation Planner for over five years helping her clients design their dream trips. Each person is looking for a different experience; a family trip to Disney, an all-inclusive week in the Caribbean or an Alaskan cruise. Regardless of the location, Keri realizes that the little details are what make vacations magical. She strives to create unforgettable vacations, whether her client is a solo traveler or a large family group! Outside of the office, Keri stays busy with her husband and children. She continues her travel education and takes as many Disney excursions as possible in order to reach her goal of staying at each one of Disney’s resorts.